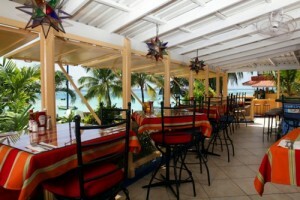 That which your pal­l­ete desires, is easily acquired at one of the many restau­rants in Bar­ba­dos. Ital­ian, Brazil­ian, Chi­nese, Thai Caribbean and of course Bajan. 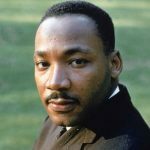 What­ever your plea­sure, there is a restau­rant designed to sat­isfy. Pick a pop­u­lar, local spot or browse the full Restau­rant Direc­tory. 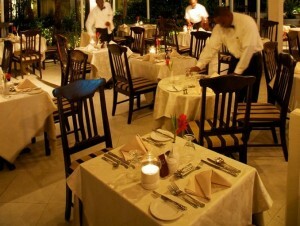 Here are a few of our featured restaurants which offer a slice of paradise whenever you dine. Experience state-of-the-art satellite sports coverage, as you enjoy mouth-watering authentic stone-fired Pizzas and Bert's world famous Banana Daiquiris which have been a favourite since 1976. 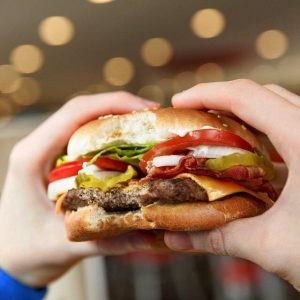 Burger King Barbados serves signature menu items including croissan'wiches, Whoppers, nuggets, salads, smoothies, cookies and ice cream. However, Burger King Barbados is also known for its flavourful, crispy chicken which is not served at many locations around the world. 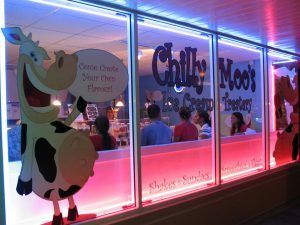 At Chilly Moo's it's all about Ice cream, you can create your own original Ice Cream flavour or enjoy their Sundaes Floats Or delicious Shakes and Smoothies. They also have their own handmade cookie dough waffle cones. Be prepared to wait in line to choose from over 20 flavours and numerous topping. Ask for your preferred or candies, fruit or nuts mixed in or sprinkled on, however which way you like it. Your server then takes it lovingly to the frozen granite slab, where it is mixed into a custom ice-cream flavour that you have invented. 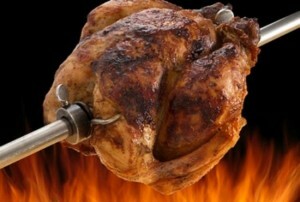 Chicken Barn serves rotisserie at its best! Birds are slowly cooked over a keenly regulated open flame in their rotisseries, allowing the specially prepared seasonings and herbs in each bird to penetrate the meat giving it a mouth-watering flavor that tantalizes the palate, creating an authentic Caribbean experience in every bite. The Crane Residential Resort is home to three stunning restaurants: Zen, L'Azure and D'Onofrio's Trattoria, each with a delightful selection to excite your taste buds. 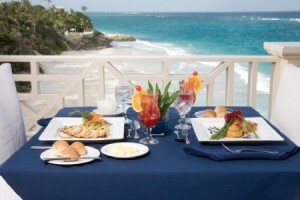 When you dream of relaxing on a pristine tropical caressed by gently lapping waves with the beverage of your choice, a traditional Barbadian lunch or flying fish sandwich and just that right mix of rustic and sophistication; then the Gazebo is calling. 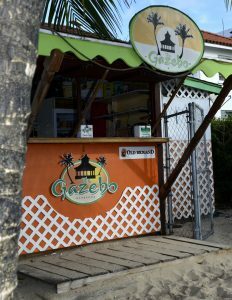 Whether your choice is the tranquil west coast or the rugged and exciting East Coast – The Gazebo’s two locations can provide the experience. The fresh fish, lamb burgers and traditional dishes are all flavoured with Caribbean seasonings and prepared to order, grilled in an open kitchen while you observe. Meanwhile, you can savour international or local beer, the finest rums, our signature rum punch or experience our special twist on cocktails and blended juices; all served by our friendly staff. Consider this in an atmosphere of steel pan music. The Harbour Lights Grill serves up a variety of mouth-watering Caribbean delicacies along with traditional burgers, hot dogs and fries. View menu here. The Beach Bar is ALWAYS fully stocked, so your options to quench your thirst are almost limitless. We've got frozen cocktails, fine local rums and ice cold beers with bucket specials available too! It appeals to both locals and visitors alike. So whether you want to dance to some of the best club music around ...or just ...lime by the bar on the free drink nights. 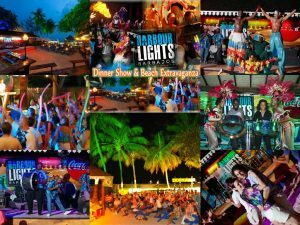 You are guaranteed a GREAT time at Harbour Lights! Enjoy everything a Harbour Lights Beach Day has to offer whether you’re reclining on our beach chairs or refreshing yourself at the Beach Bar and Grill. Deli­cious offer­ings from the kitchen, together with wel­com­ing staff make dining at the award-winning Kathy’s Restau­rant a must do. Guests can dine under the stars and enjoy a vari­ety of culi­nary expe­ri­ences. 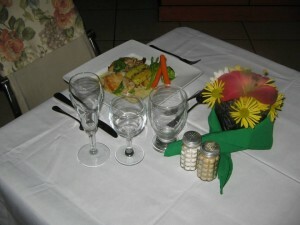 Ryanne’s Restaurant is located in the heart of Bridgetown. 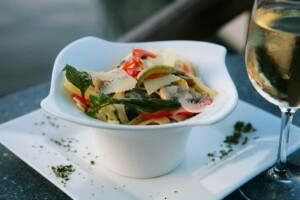 Their air-conditioned dining room and balcony overlooking Broad Street are great for dining or simply having a drink. It's a popular stop for cruise ship passengers especially, who take island tours to that area. 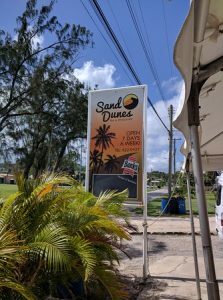 Sandy Dunes is nothing fancy; just another beautifully authentic place to sit, relax and enjoy a delicious bite of something Bajan while sipping on locally brewed, cold Banks beer in a warm, inviting space.The bar is solid, from the top beer in Barbados "Banks Exactly" to local and international rums and whisky to soft drinks and mauby. The choices are supremely sufficient to allow one to feel comfortable to take a "top up" on the way into or out of the east coast. You can rest assured there is no shortage of beverages to quench the thirst at this restaurant. The Tiki Bar is home to the 'Rumheads' and boasts an astounding array of 68 house cocktails, along with a fantastic fresh menu crafted using the very best of local products. 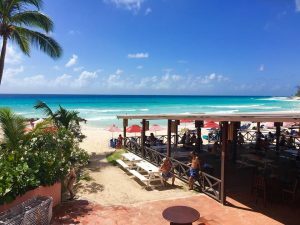 All you need for the perfect day is a swimsuit and a smile while they provide an idyllic tropical setting, beach bar, restaurant and beach service along with Caribbean sounds and hospitality. 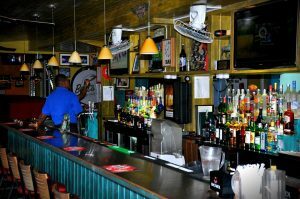 Situated on the Careenage (Marina) in Historic Bridgetown, Waterfront Café is described as an oasis in Bridgetown and provides a quality dining experience in a comfortable environment. 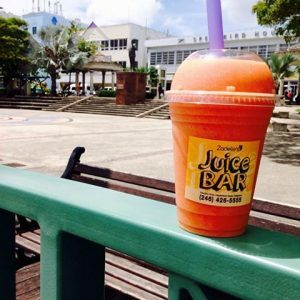 Zadelle's is a fun, fresh store it offers a wide range of raw juices, fruit smoothies, shakes, fresh fruits & veggies. And we are also, always very excited to share our great clothing at fantastic prices with you. This vibrant Mexican Grill and Margarita Bar is a favourite spot for locals and tourists alike. Open seven days a week, Cafe Sol attracts persons for their famous 'Tex-Mex' dishes, their massive margarita list, fun, cozy atmosphere and their abundant portions of food.